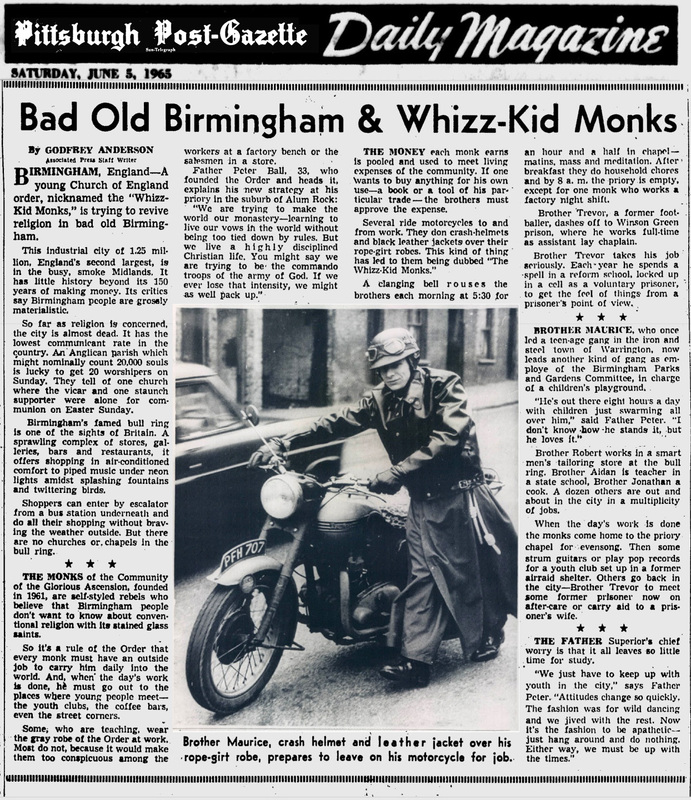 The Whizz-Kid monks must have been unlikely heros to the youth of 1950s Birmingham, England. Leather-clad crusaders for truth, freedom and goodness, with a dark side. 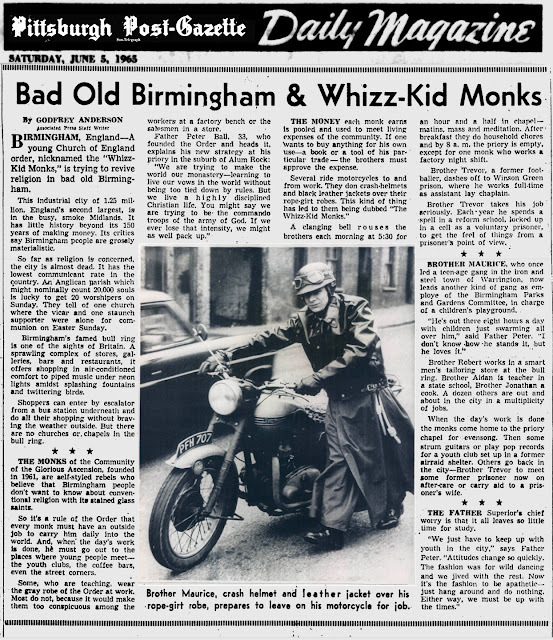 And by "dark side" I mean of course, that they rode on the backs of British iron, thundering alone through the streets in the dark of night chasing away the demons that would give otherwise well-mannered youth on motorbikes trouble with temptation. Or encouraging townsfolk not to judge such youth unrighteously. In 1965 Birmingham, church attendance was very, very low. But things are cyclical, aren't they? In 1960s America, you were a rebel if you stopped going to church. In England, to be a rebel, you left your parents at home on Sunday and rode your motorbike to be closer to the Lord. This article appeared in June, 1965 in the Associated Press, but the story was picked up by many American newspapers. Maybe the folks in the States were intrigued by the non-traditional way the motorcycle monks would reach out to the youth. Instead of waiting for them to come to church, the monks brought goodness and a caring Heavenly Father to the youth. "... for behold, and lo, I shall Triumph over all my enemies, for the Lord God hath spoken it."